Karina Halle is in the Guest House with DARKHOUSE! 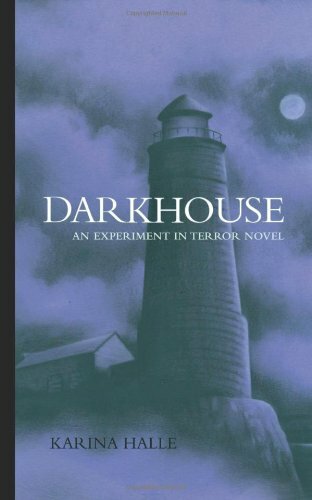 My name is Karina Halle, the author of Darkhouse, Red Fox and the rest of the (yet to be released) novels in the Experiment in Terror series. A little bit of background about me: I’ve pretty much dabbled in everything from screenwriting to filmmaking to blogging to make-up artistry to marketing to music journalism. I’m still doing the latter, writing about more experimental and metal music tastes for different publications, and of course now I’m an author now, as well. As a music journalist, and a music lover in general, music has had probably the greatest influence over my writing. I make certain lengthy playlists for each novel. The first book Darkhouse, consisted of a lot of Fantomas, Massive Attack, Faith No More, (old, pre-Twilight) Muse, Depeche Mode etc. Red Fox was a lot of Queens of the Stone Age, Tomahawk, The Dead Weather and The Doors. The third book, Dead Sky Morning, was a mix of Team Sleep, Bohren & Der Club of Gore, Dillinger Escape Plan, White Zombie and Nine Inch Nails. Varied? Yes. But the theme of instability, surprise and edginess resonates in all songs and in all books. Perry Palomino is a 22-year old recent college graduate who finds out that having a degree doesn’t mean having a job, least not one you like. She’s a receptionist at an advertising firm, and though she hopes to move up in the ranks, she feels stagnant, ignored and unstimulated. All of that changes when she explores her uncle’s mysterious lighthouse one creepy evening and runs (literally) into a man called Dex Foray. Dex opens Perry’s mind to the possibility of the unknown (he wants to run a ghost hunting show) and to the possibility of using her life to its fullest potential. As Perry quotes, “somehow, by dealing with the dead, I’d never felt so alive.” But this new outlook and focus brings some rather disturbing questions that Perry would rather keep buried. How is it that she can see ghosts when many others can’t? And is her turbulent past so easily blamed on drugs, as she claims, or was there something supernatural going on during her teenage years? For obvious reasons, I always feel Perry is connected to Nine Inch Nail’s “Right Where It Belongs.” Every time I hear the song I can’t help but picture Perry sitting on a beach somewhere, her hair in her face, wondering about what exactly is real in her world and what trap she’s built for herself. For Dex, who is more complicated than Perry thanks to his dubious past and the fact that you only know as much as Perry knows, he’s a walking enigma who causes people to either love him or hate him. In Darkhouse he’s not too sure how he feels about Perry. He’s ten years older than her, has a gorgeous girlfriend of his own, yet finds himself growing very fond of her, and has this queer sense of them having some sort of destiny together. Neither Dex (nor Perry) really knows what that means, but there’s no denying how similar they are. I think Dex sees a lot of himself in Perry. The Nine Inch Nail’s song “The Fragile” always reminds me of how Dex views their relationship. It’s this similarity that both pulls and vexes both characters and what in turn intrigues the reader. Perry and Dex are both too complex to encapsulate by comparing them to just one song, but I hope this gives the reader just a bit of a hint to where they are both coming from and why they may act the way they do. I hope you get to know them as well as I do! Previous Post Picture Perfect Releases today!